When you go to the beach or harbor on a sunny summer day, it is easy to get mesmerized by the tranquil waters and beautiful surf. The last thing you might expect is to see an animal fighting for its life. My husband Stuart went kayaking for a few hours just outside the Dana Point Harbor. He was enjoying the peaceful breeze and crystal blue water when he saw some commotion out in the water. There were two pelicans flapping about. He couldn't figure out what they were doing and thought they must be playing. He thought it was strange they were so close to one another so he paddled closer to see what might be going on. He soon saw that they were desperately trying to separate themselves and were locked together by a fishing line. 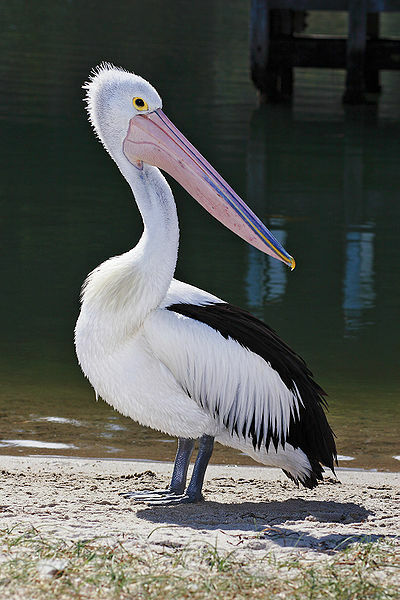 Each Pelican had a fish hook (double hook line) stuck in its beak and they were attached by the small amount of line in between. The poor birds were exhausted and would drown if they couldn't get free. Stuart stayed with the birds until another kayaker came upon them. Thankfully the other kayaker was a fisherman and happened to have a pair of plyers. Unbelievably, each pelican (these are huge birds with 4 foot wing spans) allowed them to hold them and pull the hooks out. Stuart thought he was going to get bit to pieces and would have to let go but the pelicans allowed the men to hold them and remove the hooks. The reason they were so compliant is that the birds were simply exhausted and probably sensed this was their last hope. What the two men theorized is that the pelicans must have swooped in to grab a fishermans's catch and since there was a double line of bait, rather than pull the birds in, the fisherman cut the line. The birds would have died. What they needed to do was actually pull the birds in and remove the hooks from their beaks. In any case, I am happy to report that both pelicans flew off to safety and were saved because two good men cared enough to help them!